This is my second year serving as a compensated blogger correspondent for the Child Hunger Ends Here campaign by ConAgra Foods. Summer is officially here, which brings us lucky families trips to pools, enrollment in camps, running through sprinklers and frees many of us from the daily grind of packing lunches. But for the less fortunate, summer can be a scary time: Daily free school lunches, breakfasts and snacks end for many families in need. 21.5 million children depend on free or reduced-price school meals to keep from going hungry. When school is out, only 2.3 million children participate in the Summer Food Service Program (SFSP). This means there are millions of children at an increased risk of hunger during the summer. This is where WE and the Child Hunger Ends Here campaign come in. Here are some ideas on how to get our families involved in helping hungry kids — children who could be living right next door! Some of these ideas only take a couple free mouse clicks to feed the hungry. One way you can act locally is to host a food drive for your area food bank. 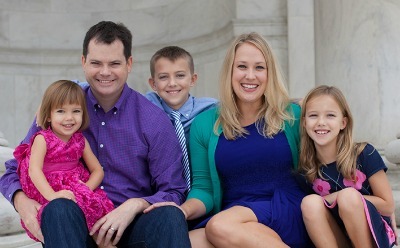 My children and I are heading up a food drive to support the Capital Area Food Bank in the Washington, DC region. This food bank collects over one million pounds of food each year from food drives. By partnering with your own nearby food bank, you and your children, your summer camp, your house of worship, your scout troop, your swim team, etc. can make a huge impact. As I blogged last month, it is so easy to enter the eight-digit code found on red pushpin marked ConAgra foods into the handy widget on the right hand side of my blog. 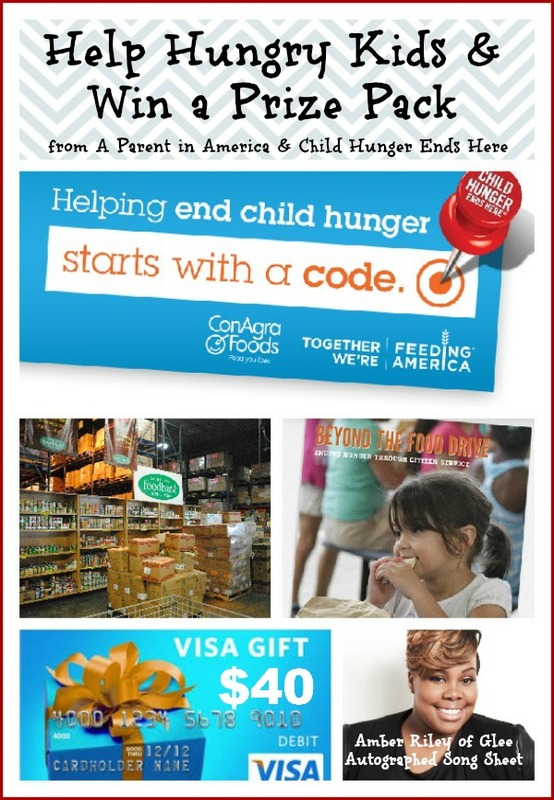 For every code entered by 8/31/13, ConAgra Foods will donate the monetary equivalent of one meal to Feeding America, the nation’s largest domestic hunger-relief organization. The goal is the donation of 3 million meals by the summer’s end! Additionally, every time you enter an 8-digit product code at ChildHungerEndsHere.com, you also have the option to submit a zip code and give your local food bank a chance to receive the monetary equivalent of 80,000 meals from the total donations. At the end of the summer, ten food banks in the zip codes with the most entries will receive an additional donation. This quick Child Hunger Ends Survey will help crowd source the hunger solution. Your insights are vital. The 2013 Child Hunger Ends Here campaign is supported by musical artists lending their voices to spread awareness for child hunger,Voices for Hope. You can download songs (some are free!) by Cody Simpson, Amber Riley, Tori Kelly and more! As a Child Hunger Ends Here Ambassador, I am honored to offer one lucky reader a gift pack of a $40 VISA gift card to assist with your own summer grocery shopping and a lyric sheet autographed by Amber Riley of Glee fame. Riley is one of the fabulous Child Hunger Ends Here celebrity ambassadors who has donated a song to this important campaign. Fill out this form for the chance to win the prize pack! By participating in these easy, free ways to help the hungry, we will all win so much more than the offered prize. I would use the card to buy an outfit for my daughter to wear to my brother in law’s upcoming wedding. I would buy my son new clothes for school this fall. I’d spend it on some organic foods for our pantry! I would save it for back to school clothes! 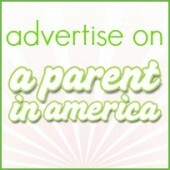 This would go into regular spending – saving me a few dollars on groceries or gas. I would get groceries and diapers! Oh I would buy Carter a new pair of shoes. He outgrowing the ones he has now…oh they grow so fast when little! I will use it for groceries! I’ll spend it at the grocery store! I would use it to buy my son some summer clothing and a new pair of shoes, his feet seem to grow by the month lol. I would use the gift card to take my family to dinner! we would have a date night-dinner and a movie. I’d buy my son some summer clothing, he needs them as he’s grown like a weed since winter. My little guy has outgrown his toddler bed and needs a twin size. So this would help buy him a new bed. Will spend it on groceries! I would probably use it for gas since we seem to always have to fill up one of the cars! I would use it for meals on vacation this summer.